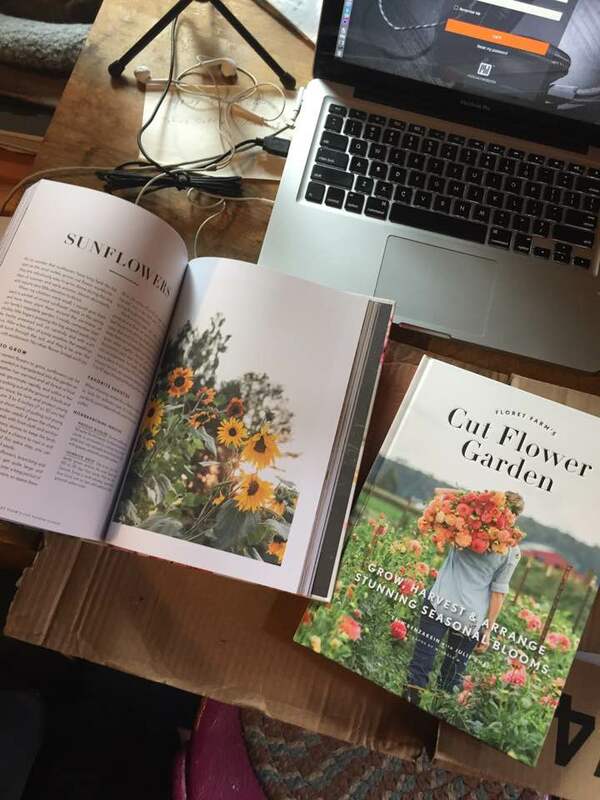 I got a copy of Floret Farm’s Cut Flower Garden: Grow, Harvest, and Arrange Seasonal Blooms in the mail this week! I could hardly wait to get home this weekend and read it! And today I was pleasantly treated to a truly fascinating read! 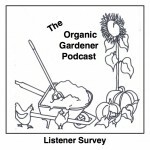 If you would like a chance to win a copy of Erin’s Book just enter a comment with your favorite take-away from this episode or a kind word for Erin in the show notes page on the Organic Gardener Podcast Page and then make sure you sign up for our email list so when I announce the winner you’re notified that your comment won! Contest Ends Tuesday, March 21, 2017! I just can’t get over how valuable this book is. In this episode I share my biggest take-aways from this book that I know is going to become a ragged favorite. 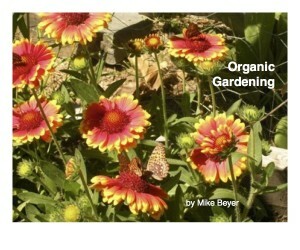 It’s full of detailed information on how to grow flowers whether your just growing for landscape or love of flowers or if you want to grow for market. Her tips and techniques will help your garden look it’s loveliest! I love this picture of her in the peonies by far one of my most favorite of flowers although they sure are difficult to get going here! 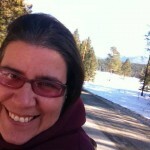 And of course she has great advice for how to combat pests without using toxic chemicals! Not only does she have actual recipes for creating arrangements but she has awesome tips for getting blooms to last in a vase! Something I always struggle with! 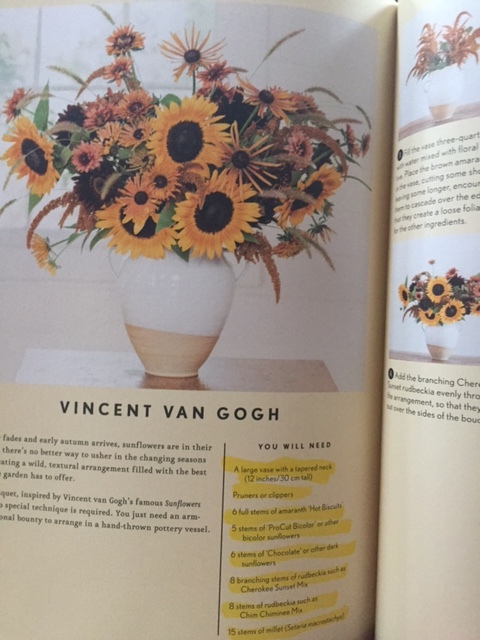 Look at this gorgeous Vincent Van Gogh arrangement! So my first year my personal challenge was to grow 750 sunflowers and that seemed huge! 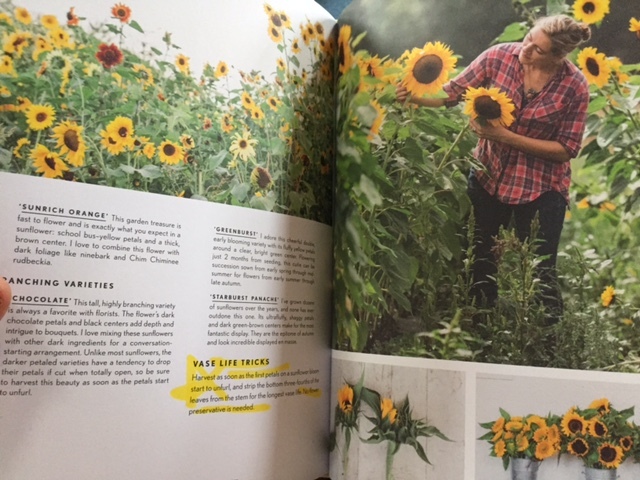 This year I’ve decided this year my personal challenge is going to be to grow 750 sunflowers a week from April 22nd through July and also some rudbeckia! I’m sure I’m gonna just use the inexpensive bird seed that I get at the store and if I can grow enough not to have to buy them next year I’ll be in good shape! 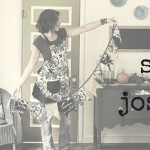 And if I can have some to paint, pictures etc because I love sunflowers! Also glad you said she spoke about Dahlias! I’m curious to see what I am doing wrong. I have planted them over 3 years ago and I haven’t had a bloom yet! I am interested in hearing about the weed barrier also. Have you ever used newspaper? 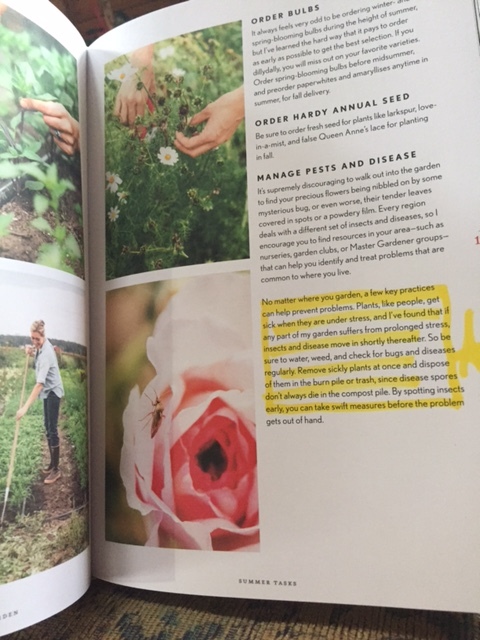 • Floret Famer’s Cut Flower Garden Book Review <Liked it!